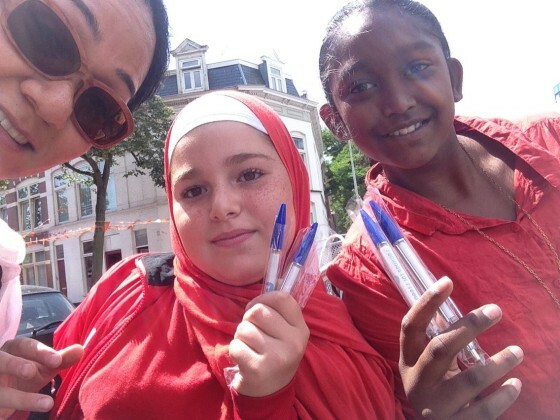 A Dutch organisation which campaigns against forced marriages is on Thursday issuing hundreds of girls in Rotterdam with a special pen containing tips on how to avoid being married off during the summer. The pen contains the contact details of organisations which can help if they fear their parents plan to force them to marry during the summer break. It also contains tips such as concealing a teaspoon in their clothes so they will set of alarms at airport security checks and can then call for help. A similar campaign was carried out in The Hague last year. Femmes voor Freedom founder Shirin Misa told news agency ANP last year’s campaign generated a lot of positive feedback. In particular, the fact the information is disguised in a pen makes it easy to circulate, she said. The most recent figures on forced marriages involving Dutch girls date from 2011 and 2012 in which a total of 181 cases were reported.